When you’re browsing doula listings, you may notice that some doulas list themselves as a “certified doula”. You may even notice extra letters after their names, like Raven Haymond, CD(DONA). But what does this mean and why should it matter to you? The truth is, anyone can call themselves a doula. At this time, there is no licensure or specific requirements that need to be met for someone to advertise their services and work with birthing women as a doula. However, most doulas do choose to receive training through an organization like DONA, CAPPA, ProDoula, CBI, or Birthing from Within (and that’s just the tip of the doula-training iceberg!). Once they are trained, doulas can choose to pursue certification. Each organization has their own process and set of guidelines for certification. 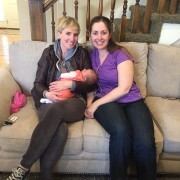 Do I think a doula must be certified to be a great doula? Definitely not. 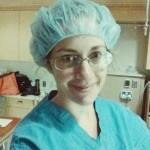 I know many wonderful doulas who have chosen not to certify for various reasons. Certification doesn’t tell you about how compassionate a doula is in the birth room, the level of experience they brings with them, or how the two of you will click. What it does tell you is that they went through a process and met certain requirements. 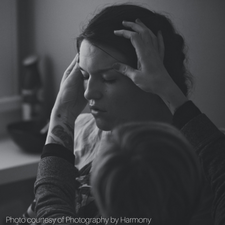 I chose to become certified because I knew it would give me goals to work toward and that the work involved in certification would help me be a better doula. I am currently certified with DONA and am pursuing certification with Birthing from Within. We’ll see if I choose to carry both certifications during my career or if things change in the future. Attend a DONA-approved doula workshop lasting 16 hours or more. Read at least 5 books from the required reading list. Observe an entire childbirth class series (I observed a HypnoBabies course). Labor support provided continuously through all of active labor (beginning around 4 cms dilation). Labor support across the 3 births must total a minimum of 15 hours. Careful documentation of the birth including vaginal exams, medications administered, interventions, and important time markers. A birth record sheet documenting the birth. A 500-700 word account of the birth. An evaluation from the birthing mother. An evaluation from the primary care provider. If the provider is a doctor, an additional evaluation is required from the attending nurse. Compile a detailed list of at least 45 local pregnancy, birth, and parenting resources. Complete a basic knowledge assessment. Read and sign the DONA Code of Ethics and Standards of Practice documents. Provide two character references, one a former client and one a birth professional. Submit a 500-1,000 word essay on the value and purpose of labor support. Pay certification and membership fees. Once I had my lovely packet compiled (such a great feeling! ), I mailed it in to DONA headquarters where it was passed along to a reviewer. Once the reviewer had a chance to read through everything (they are very VERY thorough) and contact my references, I got a phone call where we discussed my packet. I was then told that I was officially DONA certified! I will need to re-certify every 3 years to show that I am engaging in continuing education and staying active as a doula. 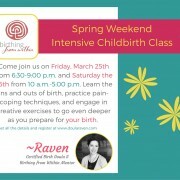 As I mentioned before, I am also pursuing certification with Birthing from Within. So, now you know what it means when someone tells you they are a certified doula!